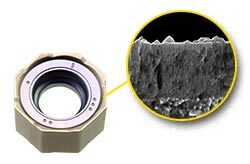 Our milling inserts grade combined both high quality raw materials with latest coating technology. 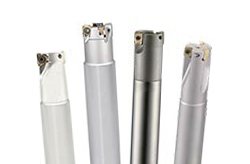 Application range can be used from roughing, medium, semi-finishing and precision machining purpose. 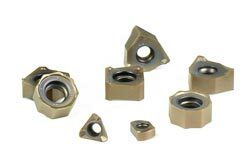 We offer more than +200 types of milling inserts with different sizes, shapes, tolerances, grades to choose from for most common machining application. 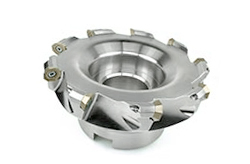 We have versatile and wide range of selections in square shoulder milling cutters. Whether you are milling deep shoulders, avoiding vibration or tolerance requirement, we always have the right solution for your specific requirements. If you need a face milling tool efficiently machining flat surfaces, higher metal removal rate with consistent quality. No matter what material you are machining, we always has the right face milling products to ensure the best machining results. With the copy milling tools from CARBIDEX, you are sure to find the right solution for any task from milling of small components in small machining centers to heavy-duty milling in high-powered milling machines. 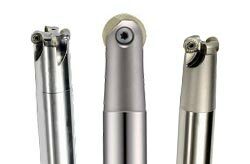 High Feed Face Milling is a milling method that can increase up to three times faster than conventional milling. 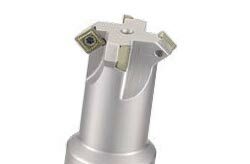 In order to obtain high efficiency and higher productivity result, we offer wide range of high feed face milling cutters help saving money such as tooling cost, labor cost, electrical and water cost, and machining cost. 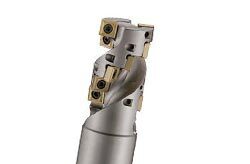 Our helical milling cutters offer the latest geometries and grades to achieve high feed rates, large depths of cut and maximum metal removal rates. 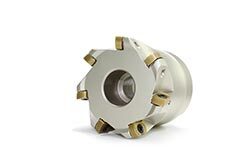 Our standard disc milling cutters ideally suited to roughing operations under following popular sectors such as general mechanical engineering, the automotive industry, as well as the aircraft and aerospace industry. 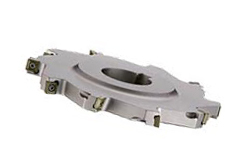 Our chamfer milling offer 45-degree setting angles providing strong and reliable performance.